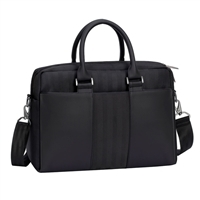 Bag is made of polyester with PU leather inserts and has thickened sides to provide extra protection from accidental damage. 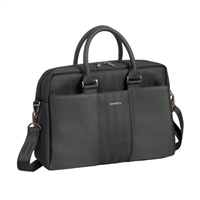 Apart from laptop compartment, the bag has a section for documents and pocket for Tablet up 10.1". 15.16" x 10.4" x 5.5"